True moments is why I love being a photographer. 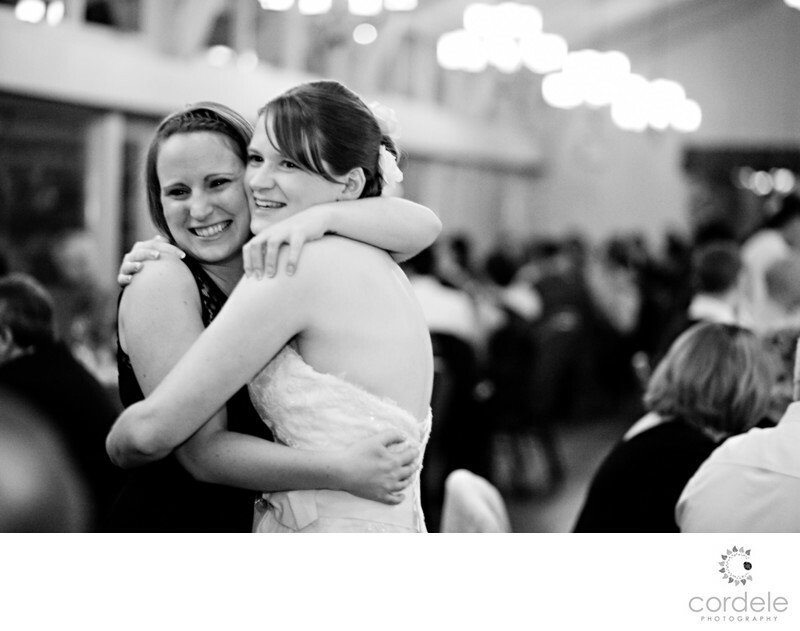 This moment was when the bride saw one of her oldest friends and just had to hug her. The happiness they are both showing will bring the bride back to this moment forever. This was taken at the Warren Conference Center in a moment in the night when the couple was saying hi to guests. I love the lights in the back and how turning it from color to black and white brought your eye to the subject.